This organization is for anyone in the Architectural Engineering program of any specialty. Our organization allows members to engage with professionals in the same area of work and to learn what happens in our industry outside of the classroom. AIAA is world's largest technical society dedicated to the global aerospace profession. At MSOE, we aim to promote the aerospace engineering profession through weekly meetings, rocket competitions, and networking events. ASHRAE is the American Society of Heating, Refrigeration and Air-Conditioning. It is the student organization of the Architectural Engineering Mechanical specialty. Students in the Mechanical specialty can benefit greatly by joining and being active in the organization. This year we plan to have at least three tours and multiple speaker to continue knowledge beyond the classroom. 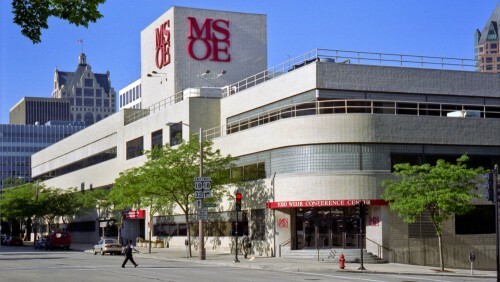 ASME is a professional organization offered to all students at MSOE. This organization focuses on building mechanical engineering students who have been exposed to industry speakers, have had teamwork opportunities, and have been directed towards excellence in their field. ASPE is the international organization for professionals skilled in the design, specification and inspection of plumbing systems. ASPE is dedicated to the advancement of the science of plumbing engineering, to the professional growth and advancement of its members and the health, welfare and safety of the public. BMES is the student chapter of the national Biomedical Engineering Society, the professional organization for engineers. Members meet monthly to promote biomedical engineering and to provide a social environment for biomedical engineering students at MSOE. Yearly activities include company tours, guest speakers, workshops, and annual picnics with faculty, staff and biomedical engineering students. Ducks Unlimited is an org to connect students who are interested in the conservation of the habitat of Ducks and other water fowl. The student Org will raise money for the Ducks Unlimited mission through various activities such as a Banquet at the end of the year and Trap shoot. Ducks unlimited is for students passionate about hunting and water fowl conservation, or just wanting to be apart of a nature minded group. IEEE is the world’s largest professional organization dedicated to advancing technology for humanity. With more than 400,000 members around the world, IEEE provides its members with a full set of tools to be the best professional they can be. As a student branch we strive to assist in the academic and professional development of all of our members. The IES seeks to improve the lighted environment by bringing together those with lighting knowledge and by translating that knowledge into actions that benefit the public. NECA contractors set industry standards for traditional and integrated electrical systems and lead the industry in the practical application of new technologies. The purpose of this Organization shall be Systems world view. Productivity. Efficiency. These are words that describe the distinctive attributes of industrial engineering, and IISE is the world's largest professional society dedicated solely to the support of the industrial and systems engineering profession and individuals involved with improving quality and productivity. Founded in 1948, IISE is an international, nonprofit association that provides leadership for the application, education, training, research, and development of industrial and systems engineering. ISEs figure out a better way to do things and work in a wide array of professional areas, including management, manufacturing, logistics, health systems, retail, service and ergonomics. They influence policy and implementation issues regarding topics such as sustainability, innovation and Six Sigma. And like the profession, ISEs are rooted in the sciences of engineering, the analysis of systems, and the management of people. The National Society of Black Engineers is a student-run, nationally recognized organization dedicated to producing future leaders who excel academically, succeed professionally, and positively impact their communities. MSOE Phi Beta Lambda is MSOE's chapter of the largest business organization in the world, FBLA-PBL. PBL focuses on professional development, service, and leadership. PBL is committed to developing students for careers after graduation. The Professional Construction Society connects MSOE students with construction industry professionals. PCS is affiliated with two construction management organizations: Construction Management Association of America (CMAA) and Associated General Contractors (AGC). PCS connects students in collaboration with CMAA and AGC through industry presentations, networking events, and jobsite tours. MSOE SAE exists to develop students into the leaders in the mobility industry through projects, chapter events, &amp; involvement with SAE International. We host bi-weekly meetings that bring in industry engineers to discuss the projects that they are working on in their professional careers and how SAE can help students get there. Our main goals include designing and building on-road and off-road vehicles for use in SAE sponsored competitions. The goal of the Society for Biological Engineering is to promote the integration of biology with engineering and realize its benefits through bio-processing, biomedical and bio-molecular applications. SHPE changes lives by empowering the Hispanic community to realize its fullest potential and to impact the world through STEM awareness, access, support and professional development. SHPE's vision is a world where Hispanics are highly valued and influential as the leading innovators, scientists, mathematicians, and engineers. The purpose of SNA is to provide membership with and association dedicated to the growth, interaction, and skills to its members. SNA will create opportunities for health promotion and prevention for the MSOE community and surrounding Milwaukee community. MSOE's Society of Software Engineers is a student run professional organization that strives to empower Software Engineers and all people who love to code for a better future in the industry. Through collaboration, workshops, technical discussions and networking events, SSE strengthens student's technical, networking and soft skills. With constant community ourtreach, SSE ensures that relationships are being built to keep students current and strong in the fast moving tech world. SWE is a student organization at the Milwaukee School of Engineering, as well as a international society. The mission of SWE is to stimulate women to achieve full potential in careers as engineers and leaders, expand the image of the engineering profession as a positive force in improving the quality of life, and demonstrate the value of diversity. At MSOE, we focus on our members' professional development while providing a welcoming environment for female engineers to network with each other. We also promote engineering careers to young girls that are interested in STEM fields by implementing and participating in various outreach events. One of our main goals is to make MSOE a destination universities for female engineering students by providing a platform where particularly female engineering students can meet and grow as leaders. SWE is open to anyone interested in promoting females in engineering, including females and males, engineers and non-engineers. MSOE WC will be a school organization for the Milwaukee Water Council. Water Council is an organization founded on: 1. Creating a common space for students and professionals of all majors to work together through water. 2. Consolidate and improve current student organizations and resources involving water. 3. Promote water business and career opportunities and an awareness of water issues.